Monte is made for enduro: the kind of riding that demands that you're both aggressive yet relaxed - and the Monte is the perfect marriage of these two elements, combining the dynamics of hard lines and soft edges to deliver a perfect balance of climbing performance and descending positioning in a race-ready saddle. 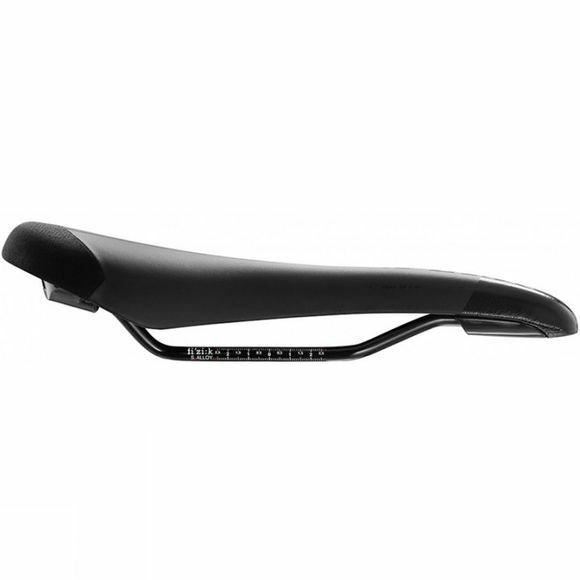 The Monte features a strong, light carbon reinforced Nylon shell, with Extended Tail Flex technology – an enhancement of fi’zi:k’s proven Tail Flex technology, providing a larger flexible support section at the rear of the saddle, vital for the rider in search of optimum balance and positioning for control and power delivery. It also features the all-new S-Alloy rail for light weight and strength, Comfort PU foam and a pressure relief channel – perfect for enduro.